Sit back and relax: we’ve got this. With WegoPremium, we constantly monitor your utility data, run weather-adjusted models, and conduct building-level analysis. Then, we send the key information you need directly to you and your team. Your dedicated energy analyst is there to help along the way! How are each of my buildings performing, and which ones should I focus on improving? How much am I spending on utilities, and how is that spend changing from year to year? Is my energy and water usage as expected, and if not, which meters are the culprits? Automatic importing of all of your energy and water data—no paper bills to keep track of or messy spreadsheets! Dedicated energy analyst, available to highlight opportunities and guide decision-making. Flag meters where energy and water use is higher than expected. Identify the meters with problems (water leaks, equipment faults) or billing errors. 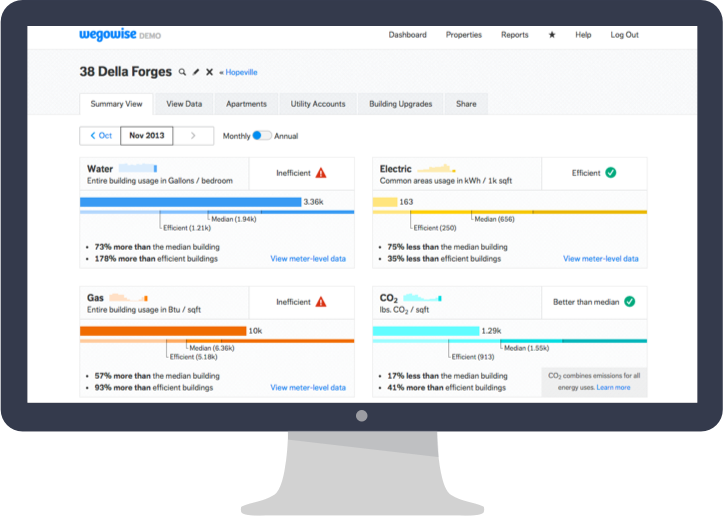 Evaluate energy and water for each building in the portfolio with targeted recommendations, prioritized by size of savings opportunity. Use budgets efficiently by focusing on the biggest potential ROI. Summarize energy and water costs for each property, and highlight variances. Analysis for specific upgrade projects. 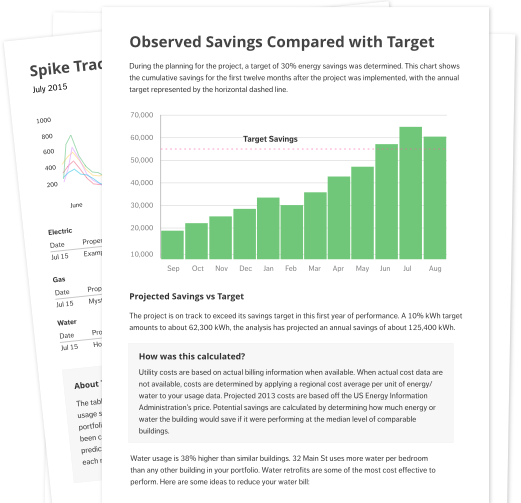 Our weather-adjusted regression models reveal exactly how much money projects are saving. More of a visual person? See the reports in action. Asset Managers, Building Maintenance, Development Officers, Facilities Directors, Finance Executives, Operations Executives, Regional Managers, Property Managers, Project Managers, Portfolio Managers, and more. Request a quote today to start making the most of your utility data.